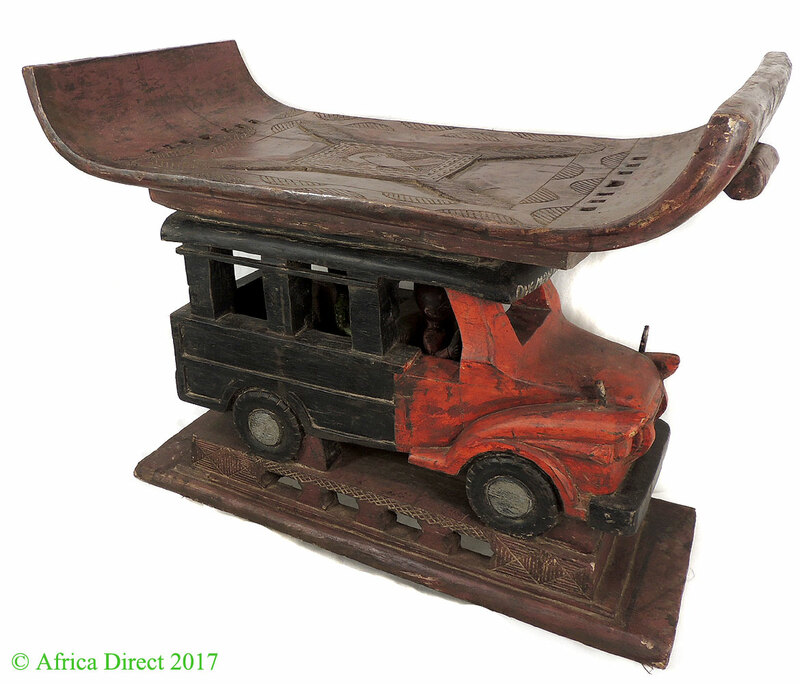 Additional Information: A superb Asante stool with a unique stylistic addition: the seat of the throne is supported by a carved bus complete with a driver and passengers! 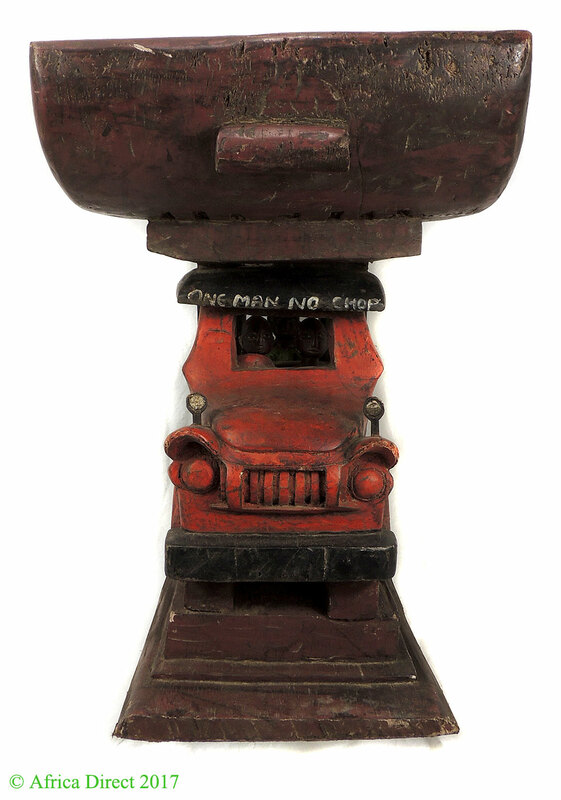 On the fron and back of the bus are the words "One Man No Chop", a popular Nigerian song from the 1980's. The chair is decorated with carved and painted designs and geometric motifs. 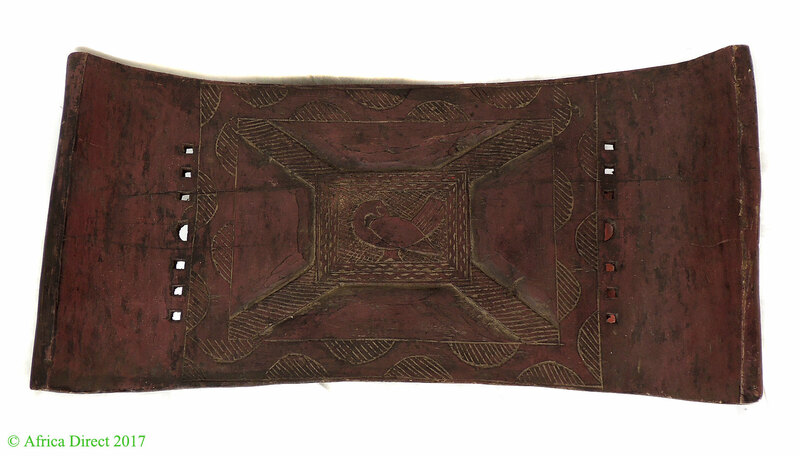 A truly special example of the well known Asante royal stool form. 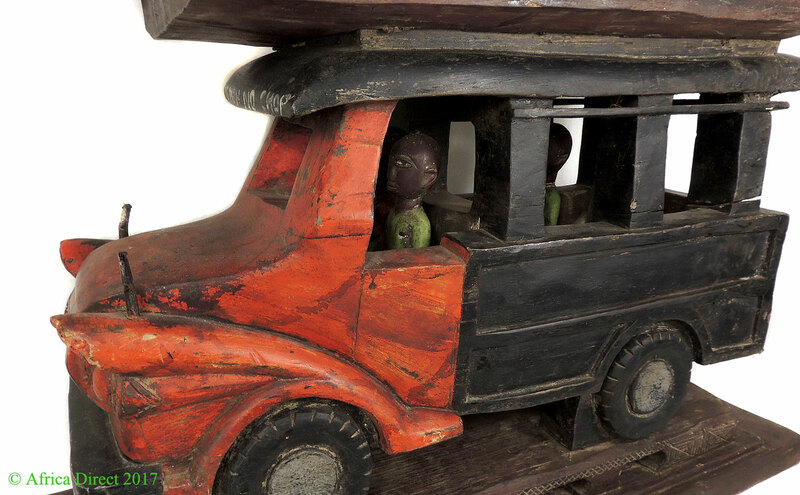 Among the Akan a well-carved stool such as this serves multiple purposes in addition to providing a well-designed seat to sit upon. 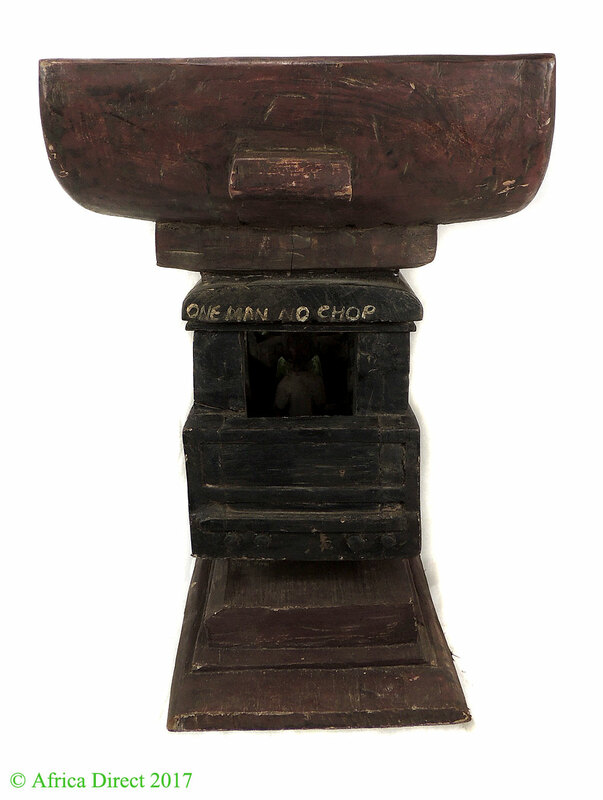 Among the Akan stools take their name Dwa from the wood out of which they are carved. When a daughter reaches the age of puberty her father is expected to give her stool that becomes not only her property but also identification with her soul and being. So that often stools will be seen with their upper corners worn from being leaned up against the wall or laid down on their sides, all to prevent some one else from sitting on it or worse a malevolent spirit could take charge of the stool and the owner's spirit. Stools are also identified with the various royal states as each state will have it s own design as will their king and queen mother. Stools often have proverbs or sayings or historical events identified to them. In fact the skulls of defeated enemies were often attached to the stools of a victorious king! 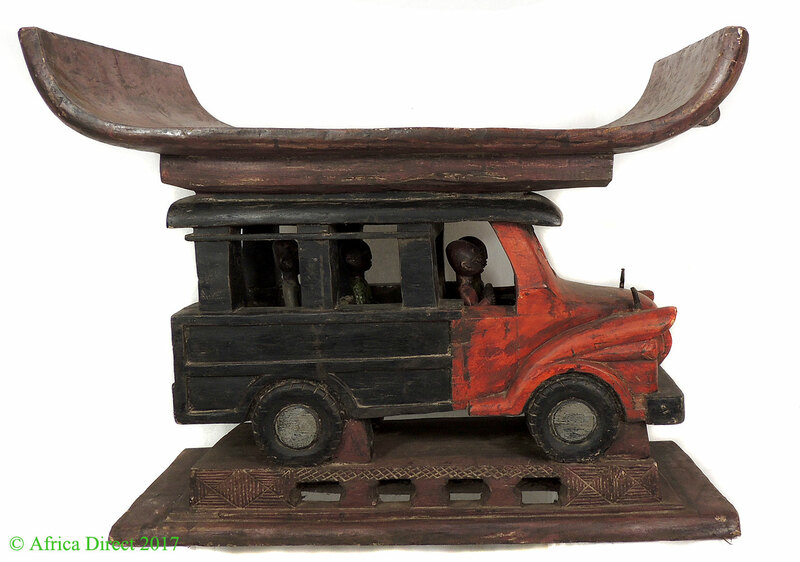 Stools start out as a white wood and through time take on a burnished and well-worn hue as this stool and it must be noted that Akan stools are carved from a single piece of wood reflecting the skill and talent of the stool carvers and not nailed together as European chairs. 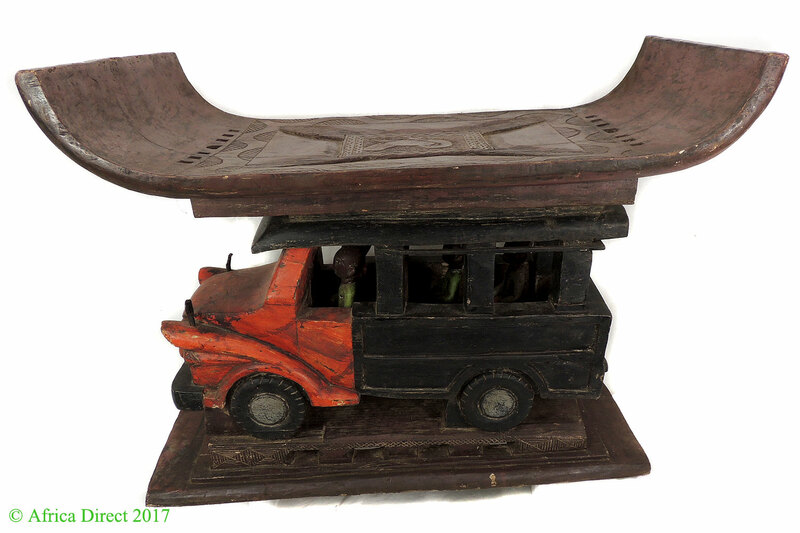 Designs of stools may vary as to the inventiveness of the stool carver and today many of the proverbial forms are either forgotten or interpreted as a new form.